Friends, today’s freebie is a great resource to help designers and developers to showcase their designs on various Apple products. 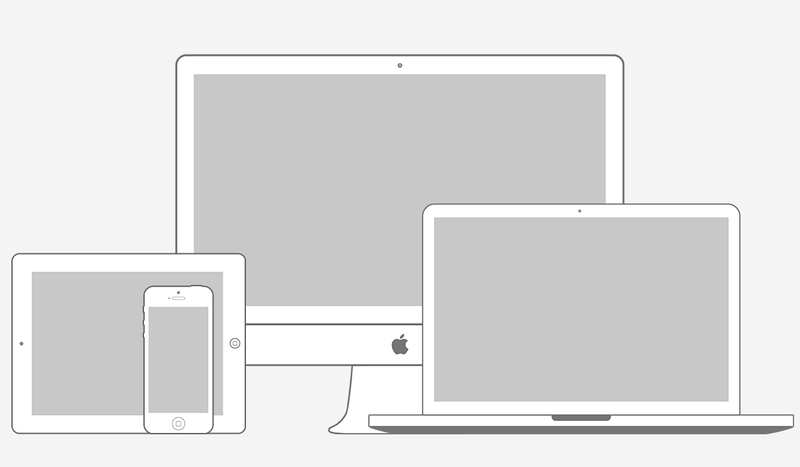 This is a minimal wireframing kit that contains iMac 27″, iPad vertical and horizontal, iPad mini vertical and horizontal, iPhone 5 vertical and horizontal, Macbook Air and Macbook Pro retina display mockups. The aspect ratio of all the screens of the devices has been maintained properly. All the graphics are created using vector shape layers in Photoshop.